Xirena Eva Dress (Aventine Stripe) Dresses at Blush, Ltd.
Soak up the sun with Eva. 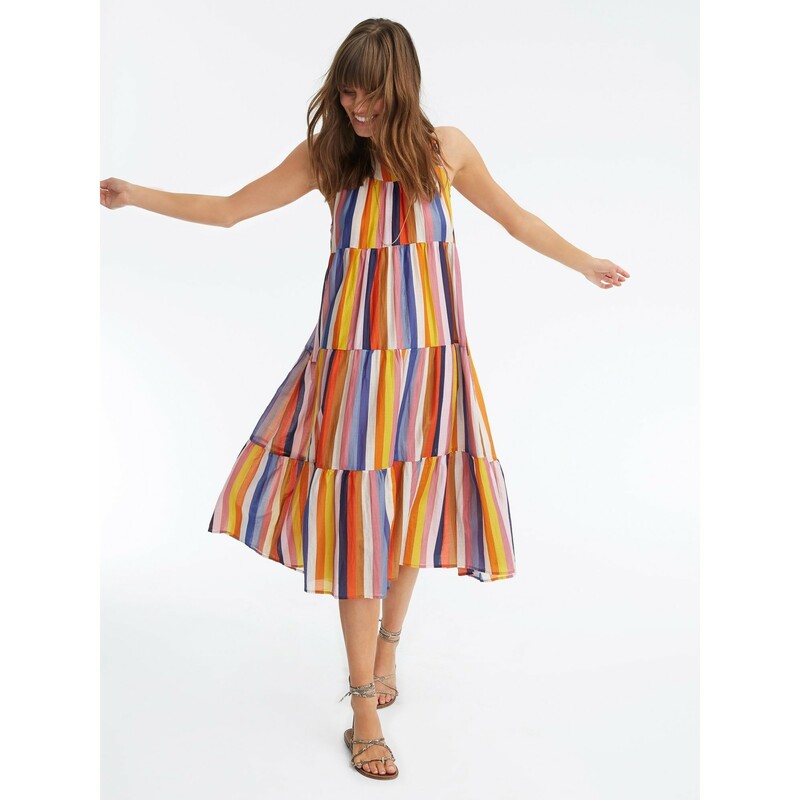 Flowing and femme, our Eva Dress is cut from our colorful Roman Stripes in reimagined Cotton Silk. Sleeveless with a full skirt, it's made for twirling.